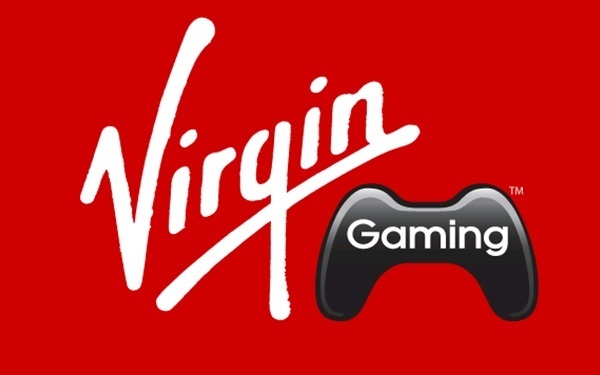 Microsoft has a new partner in Virgin Gaming and the two seek to add a new dimension to the online multiplayer experience. The team-up is launching a Xbox Tournaments app on the Xbox 360’s XBL service which will be released today. The app—which can be downloaded from the Marketplace—will allow for XBL Gold members to search through active and upcoming tournaments, participate in them, and track how the tournaments are progressing. Xbox Tournaments will be available in the US, Canada, and the UK to start and more countries will be added at a later period. So far, the tournaments available at launch will be based around the EA Sports titles Madden NFL 13 (no surprise there), FIFA 13, and NHL, as well as the 2K’s NBA 2K13. It can be expected that first person shooters as well as tournament-style fighting games will make the XBL Tournaments circuits. You can also expect racing titles to make an appearance. Basically if it is competitive in nature or can be played in the form of team competitions, there’s a very good chance there will be tournament action for it via Xbox Tournaments. The way Xbox Tournaments will work is that there will be tournaments for all skill levels, so no one will be left out if they don’t have a tournament-level game. There will be head-to-head contests for free which will allow for gamers to keep their skills sharp and improve if needed. Of course money tournaments will be available and to kick off the service’s launch there will be a big $100,000 leaderboard competition held between April 9th and May 6th. Gamers who participate in the tournament will have to win three tournament rounds or advance up the ranks will get a piece of the $100,000. What Virgin Gaming brings to the table here is organization, basically. There are match results, a ranking system, and customer support—all of which are essential to online competitive gaming. Virgin Games has many sponsors that include car and drink manufacturers who have benefited from the relationship. So what else can be expected from this? Could it become so big and organized to the point that it could compete with Major League Gaming? Truly rivaling organizations in focus countries could be good eSports especially if it could find a major streaming source in the same way that some competitions have on Twitch.TV. Sure competitions could be streamed on the official site and via Xbox Tournaments, but there’s just something about being able to watch tournament play as well as non-tournament play if you wish. Big things could possibly come from this if Xbox Tournaments can get titles specific to their tournament service. Sports titles are a good foundation to build on, but you’ll want other titles to bring in a greater array of gamers. Fighting games are really hot for competitions as are shooters and actually provide for a more exciting game to view. A title such as Starcraft II would really draw in competitors and viewers a like—which would be great if ads are shown during intermission between competition rounds. As far as competition play goes Starcraft II always gets a large number of viewers and players on the Twitch.TV streaming service due to worldwide exposure and appeal of the game. We’ll see what the future holds for this team up and how it will be implemented in the upcoming Xbox console which set for release this year. There are many possibilities for this to work and expand. If the Xbox 720 has a similar live play and viewing structure that the PlayStation 4 will have, Microsoft and Virgin would really only need to split the loot from advertising between themselves if they even go the advertisement between money tournament play. As much of a money grab it would be, having commercials on the console’s service would work considering there’s no ad blocker for the Xbox 360 and probably not for the Xbox 720–unless there will be the option to drop adverts for Gold members. Remember, it launches today, so if you’re an XBL Gold member, snag the app and jump in on tournament play if you can. Who knows, you might take a cut of that $100,000 launch tournament pot.